Our core team boasts experience from a myriad of backgrounds, conservation work, and volunteer organizations. Having such a diverse team instills a strong learning environment for our staff and volunteers! Jennie grew up playing in the mountains of Colorado. 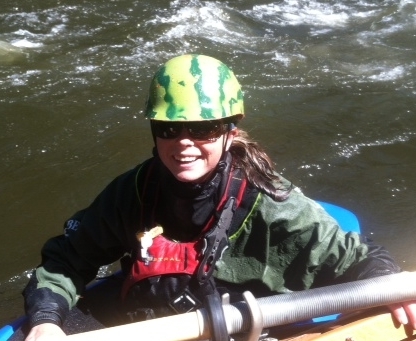 Her passion for rivers, mountains, and the environment stemmed from her upbringing and has carried her through five years of professional raft-guiding in Utah, Oregon, and New Zealand. Her experience with leadership in the outdoors takes many forms and has perpetuated her desire to conserve beautiful wilderness areas. With a degree in Studio Art and Environmental Policy and Decision Making, Jennie brings a creative, environmental mindset to the table. Mitch’s first time on a river was kayaking in 2010. Little did he know at that time, the experience would change his life forever. Since that first river trip, Mitch has immersed himself in the river lifestyle. He spent a summer as a raft guide in Steamboat Springs, Colorado, he worked for the BLM as a seasonal hydrologist and river ranger along the Upper Colorado River Basin for two seasons and has been attending Western State Colorado University, studying Environment and Sustainability emphasizing in watersheds. The river is his true passion in life. Mitch believes the residents of the Colorado River have lost touch with the significance of water. He strives to reconnect the communities of the American Southwest with their watersheds, through on-river experiences, in hopes of creating a more water-aware Colorado River Basin.